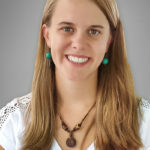 Chelsea Clark is a writer with a passion for science, human biology, and natural health. She holds a bachelor’s degree in molecular and cellular biology with an emphasis in neuroscience from the University of Puget Sound in Tacoma, Wash. Her research on the relationship between chronic headache pain and daily stress levels has been presented at various regional, national, and international conferences. Clark’s interest in natural health has been fueled by her own personal experience with chronic medical issues. Her many profound experiences with natural health practitioners and remedies have motivated Chelsea to contribute to the world of natural health as a researcher and writer, hoping to help others find natural relief for themselves. Her work appeared regularly at Natural Health Advisory Institute before that site became part of University Health News. Recovering from c-section surgeries isn’t easy, but these 8 natural tips can help you to relieve pain, heal your wound, and get back on your feet to be with your new baby. 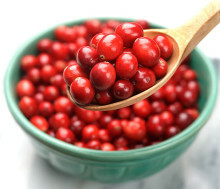 Cranberries are well known for treating urinary tract infections, but that’s not all they do. Cranberry health benefits also include improving triglyceride and cholesterol levels, treating BPH in men, and fighting cancer. Learn how eating more fiber not only will help you to lower cholesterol or stabilize blood sugar, but how it will also lower increase your life span as well. Students of all ages can benefit tremendously by eating a healthy diet full of foods that enhance cognitive function and academic performance. These facts about air pollution may surprise you: dirty air affects much more than your breathing. Cold sore prevention is probably more important than you might realize; these bothersome sores can be linked to serious conditions like Alzheimer’s disease. Natural treatments, like lysine for cold sores, can help you get rid of your cold sores for good to stay safe. Flotation therapy in a sensory deprivation chamber can help you relax, decrease pain, ease stress, improve sleep, and fight depression. Many kids in middle and high school are being prescribed Xanax, Valium, Ambien, or others sleeping pills and anti-anxiety drugs.